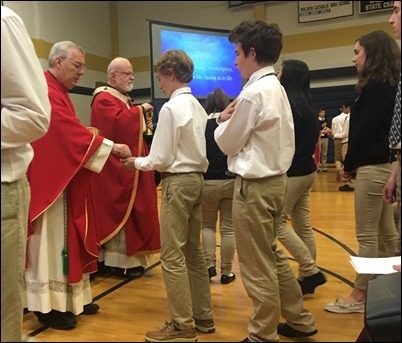 Last Friday, I went to Malden Catholic High School to celebrate their Mass of the Holy Spirit to open the academic year. 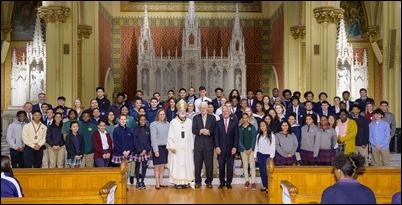 Of course, the school comes under the sponsorship of the Xaverian Brothers who have played such an important role in education in our archdiocese. 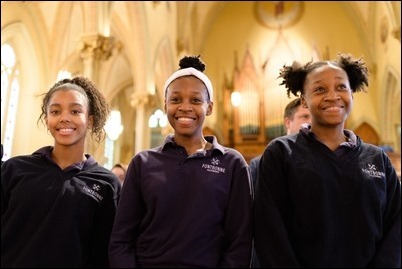 Malden Catholic has started a girls’ school which has been very successful and already has a waitlist. 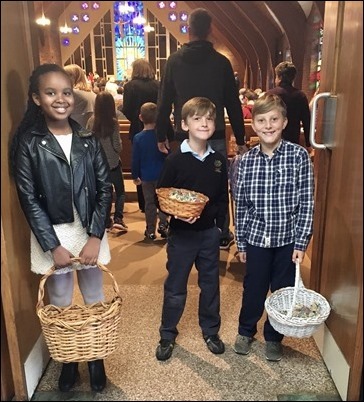 They had a wonderful choir made up of children from the boys’ and girls’ sections of the school. We began the day with a Mass and afterwards there was a reception in the newly refurbished section of the girls’ school. Friday evening, I had one of my periodic dinners with a group of seminarians. This time, I met with the deacon class, those who will be ordained to the priesthood next year. As usual, we began our gathering with Vespers followed by dinner and a time of discussion. It was good to hear the positive reports from them about how things are going in the seminary and in their ministry. It was a very encouraging evening. 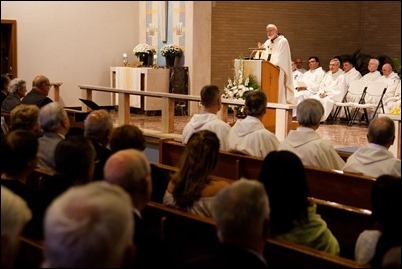 Saturday, we had our archdiocesan celebration of the 50th anniversary of the restoration of the permanent diaconate in the United States. The day began with a Mass at St. James Church in Stoughton. 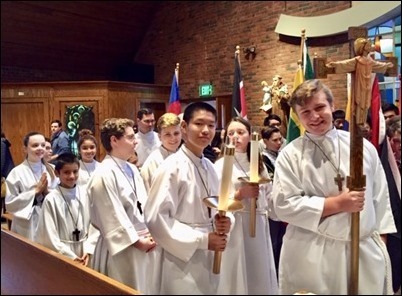 After the Mass, there was a banquet held at The Lantana in Randolph. 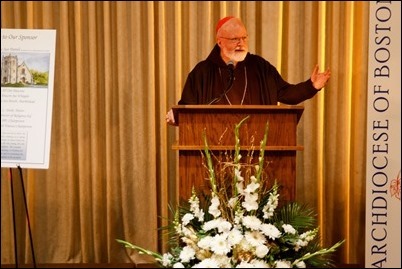 There were a number of speakers, including Bishop Mark O’Connell who gave a wonderful keynote. 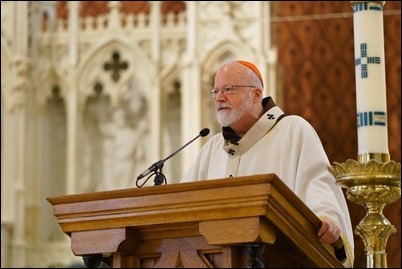 He spoke on the mission of the deacon in our Church today. 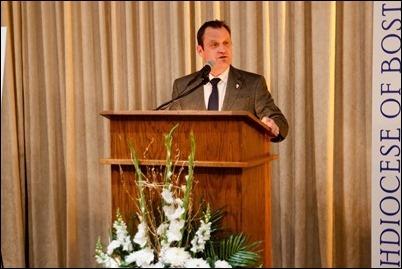 I also offered some remarks and gave the final blessing. 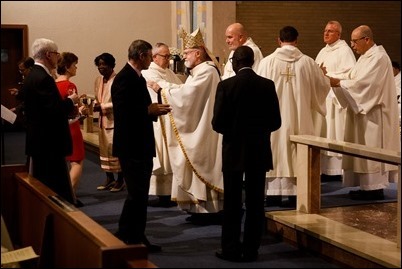 As I always like to say, when I was a young priest working with the immigrants in Washington, one of my responsibilities was running a diaconate program to train Spanish-speaking permanent deacons. 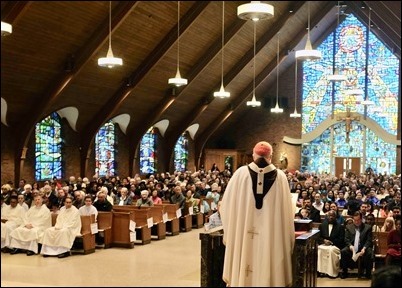 I saw what a wonderful contribution that permanent deacons make in the life of the Church, and I am so pleased that we have such a vibrant program here in the Archdiocese of Boston. 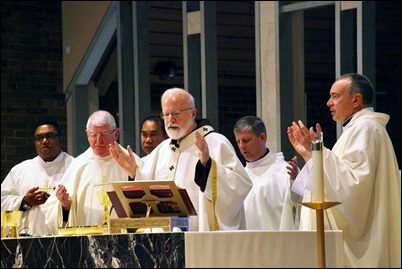 We are very pleased that we have been able to expand the diaconate program so that we are now taking in a new class each year. 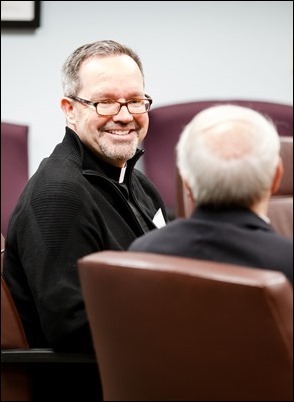 We are, of course, very grateful to Deacon Chris Connelly, our Director of Permanent Diaconate Formation, and Deacon Pat Guerrini, our Director of Diaconal Life and Ministry, for all they do to support this ministry. We’re also so grateful to the wives and families of the deacons, who are crucial to their ministries. 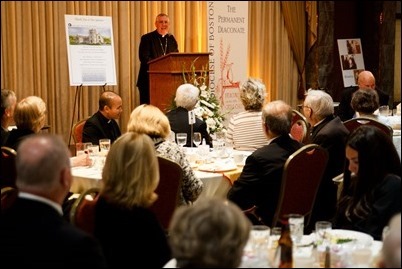 It was wonderful to have an opportunity during the dinner to recognize and thank them for their generosity and to celebrate this vocation in the Church, which was restored thanks to Pope Paul VI. 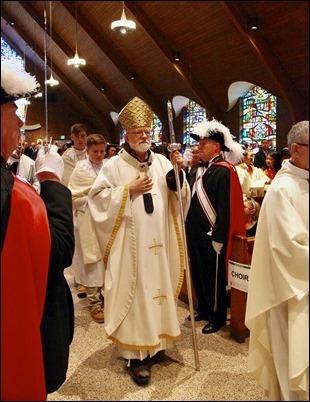 Indeed, it was very appropriate that our celebration came just days after the canonization of this holy and wise pope who restored the permanent diaconate to us. 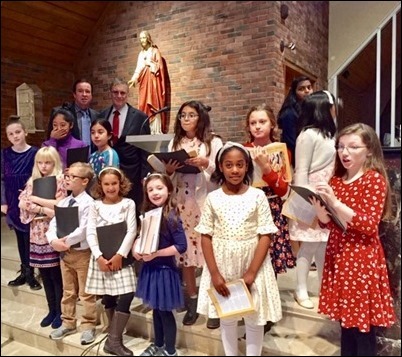 Sunday, I went to Our Lady Comforter of the Afflicted Church in Waltham for the celebration of our annual World Mission Sunday Mass. 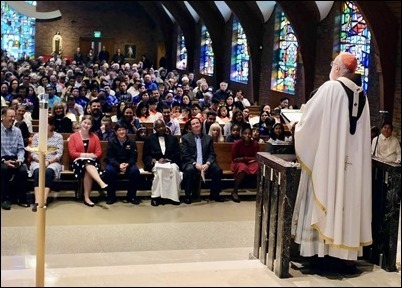 We were so pleased to be joined by so many representatives from the various ethnic apostolates in the archdiocese, including many priests, sisters and brothers. 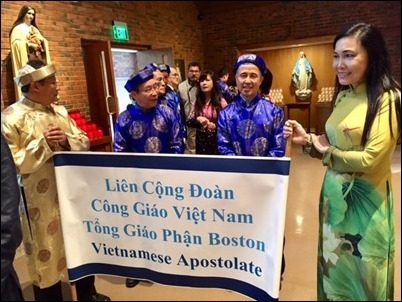 The Mass featured two children’s choirs — one from Our Lady’s and the other from the Vietnamese community in Dorchester. 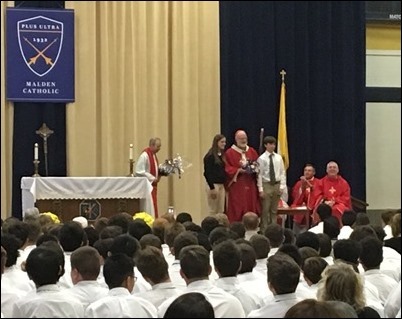 As always, the Mass was very special and included the opening procession with the flags and the blessing of the World Mission Rosaries. 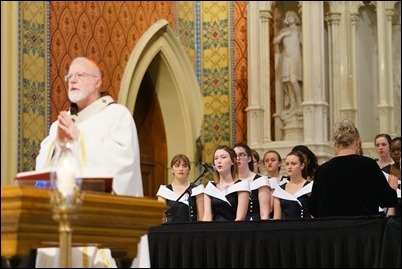 This year, there was a special emphasis on the 100th anniversary of the Missionary Childhood Association, and so the participation of children in the Mass was stressed. 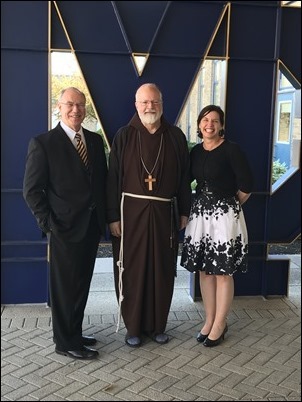 We are so grateful to Maureen Heil and Father Gabe Troy for the very important work they do in our archdiocesan Office of the Pontifical Mission Societies and particularly for all they do in organizing this very special Mass each year. That evening, I met with another group of seminarians for Vespers, dinner and a time of discussion. Once again, I found the seminarians to be “in a good place,” as it were. I was happy to have the opportunity to be with them in these challenging times in our Church. 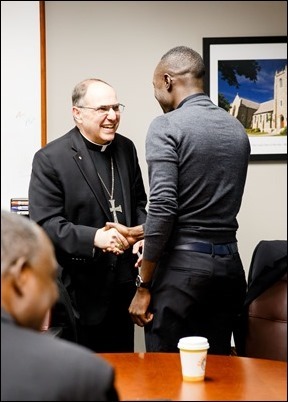 It is very important for our seminarians to feel supported and have an opportunity to voice their thoughts and concerns. 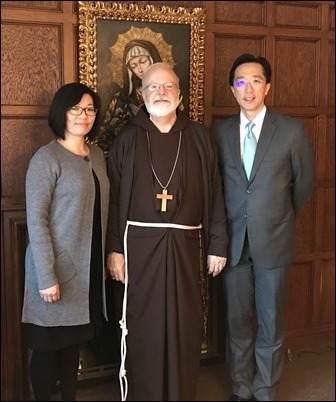 Monday, I met with the Director-General of the Taipei Economic and Cultural Office in Boston, Douglas Hsu, and Johanna Wang, who is on his staff. They were here for a courtesy visit. Of course, the recent developments between the Holy See and the Chinese government are of great interest to them, in part because the Holy See is one of the countries that recognizes Taiwan. This is obviously a relationship that they are very concerned with. 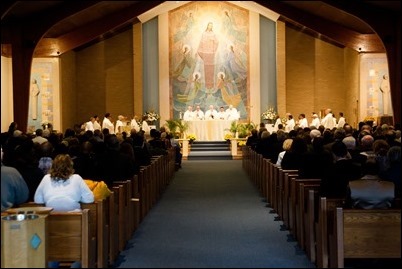 Monday, I had the first of our regional meetings with priests in the archdiocese. 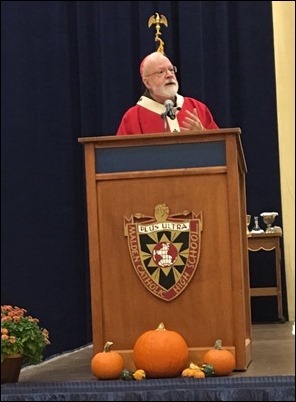 This year, instead of the Fall Convocation we decided to have meetings with the priests by region so that there would be more opportunities for dialogue. 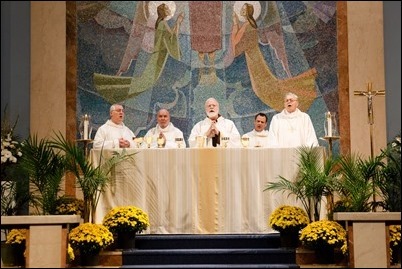 So, on Monday I met with the priests of the Merrimack Region and later in the week I met with the priests of the South and North Regions. 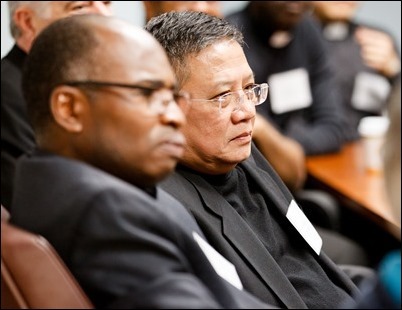 I will be gathering with the priests of the Central and West Regions in the coming days. All the meetings were very well attended by our own clergy and many of the religious priests who serve in the area participated as well, along with, of course, the regional bishops and vicars. 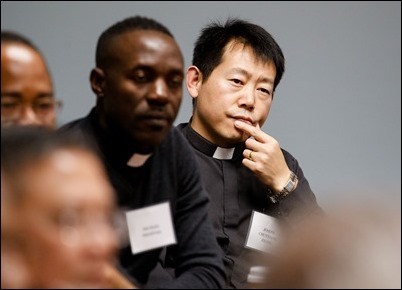 At each meeting, there was a time for reflection, and then each of the priests had an opportunity to express their own thoughts. From my point of view, the priests seemed very free and relaxed and were able to share their concerns, raise questions and make suggestions. Monday evening, I went to Keohane Funeral Home in Quincy to attend the wake of Mary Bridget Blaney, the mother of Father Robert Blaney. I was very happy to be able to personally tender my condolences to the family and offer my prayers at the wake. We will certainly miss her at the Little Sisters of the Poor’s residence in Somerville, where she was always a fixture at Mass. 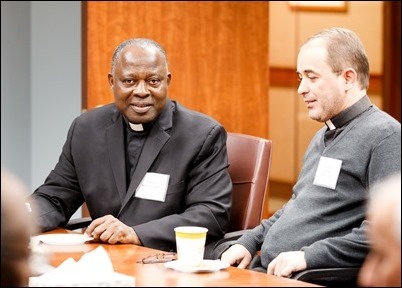 Tuesday I was visited by Bishop Thomas Osman, OFM Cap., of the Eritrean Catholic Eparchy of Barentu. 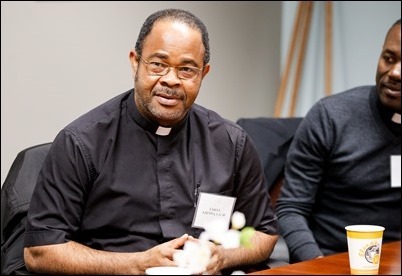 Bishop Osman was visiting a number of Eritrean committees in the United States, which included Boston. 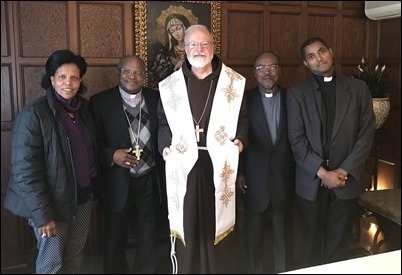 He was accompanied by Olga Mesgun, one of leaders of the Eritrean community in the cathedral and Father Kahasay Deeble, who ministers to the Ethiopian and Eritrean community here. During their visit, they gave me the gift of this wonderful Eritrean stole. 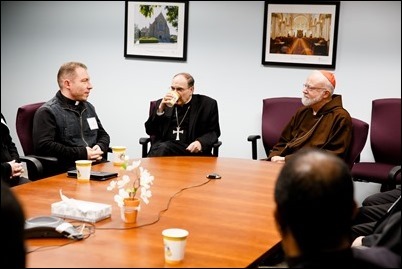 That afternoon, at the Pastoral Center, we hosted a gathering for the extern priests who are working in various ministries in the archdiocese. 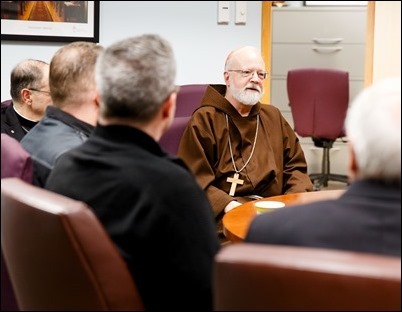 I was pleased to have the chance to meet with them, hear about their ministries and thank them personally for all they do for the archdiocese. 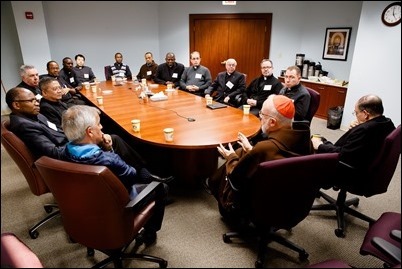 That evening we had one of our regular meetings of the Archdiocesan Pastoral Council. 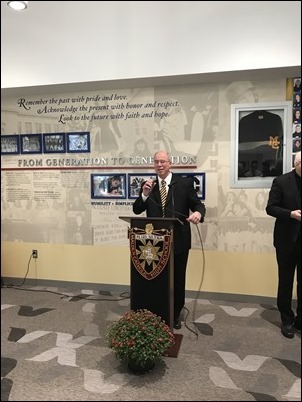 This meeting was particularly focused on the present crisis in the Church and one of the speakers was Vivian Soper from our Office of Pastoral Support and Outreach, who spoke about the archdiocese’s outreach to survivors. Though it was a very good meeting, it did end a little bit earlier than usual to allow folks to be home in time to see the Red Sox victory over the L.A. Dodgers in Game 1 of the World Series. 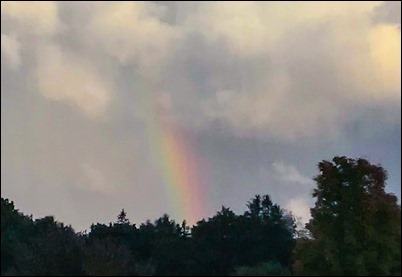 I wonder if perhaps this was not predicted by the rainbow that so many in the Boston area saw that afternoon? 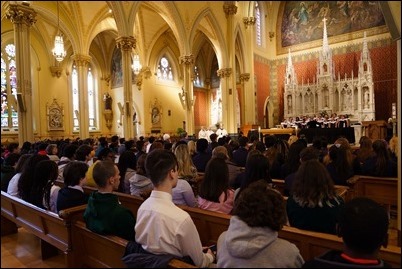 Wednesday morning, I went to Our Lady Help of Christians Church in Newton for the annual Catholic Schools Foundation Scholars and Gerstner Scholars Mass. We were so pleased to be joined by Peter Lynch, Michael Reardon and our Superintendent of Schools Kathy Mears. 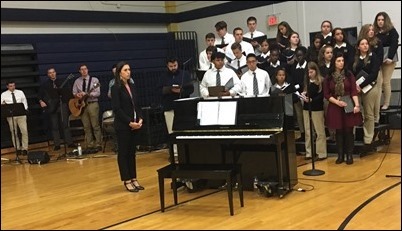 The choir from Fontbonne Academy sang for us during the Mass. 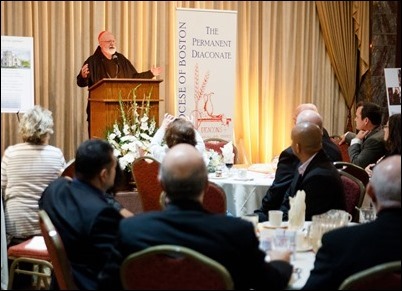 Thursday, we had one of our regular meetings of the Massachusetts Catholic Conference at Pope John XXIII National Seminary in Weston. As always, it was an opportunity to hear reports from the various committees: the Economic, Political and Societal Affairs Subcommittee; the Healthcare Subcommittee; the Family Life and Pro-Life Subcommittee; the Education Subcommittee and the Legal and Fiscal Affairs Subcommittee. 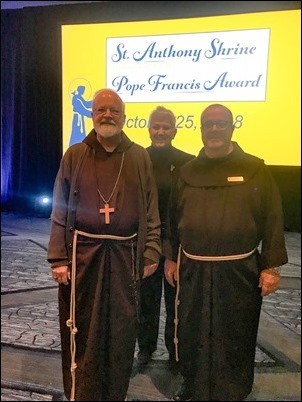 Finally, last night, I went to attend the 2018 Franciscan Dinner to support the St. Anthony Shrine in Boston. 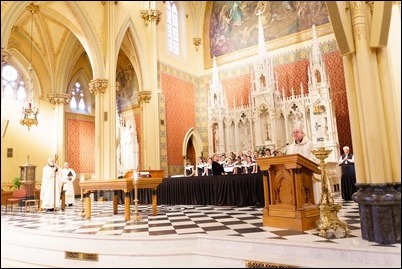 The shrine has been such an important presence in the city – an oasis where the corporal and spiritual works of mercy are practiced and where people go to receive the sacraments. It is a place where people can go to confession, receive spiritual direction and where people who are grieving or lonely receive a warm welcome and a helping hand. 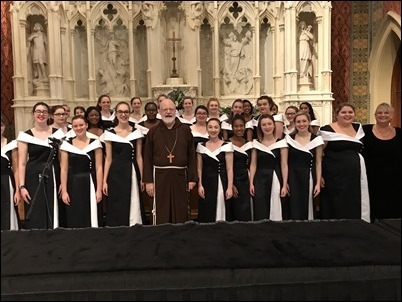 This year, they wanted to stress the important contribution of so many women who volunteer and work with the friars in their many ministries. 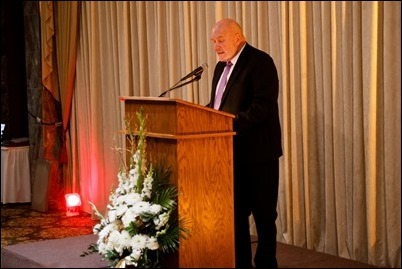 One of the programs they highlighted during the evening was the healthcare outreach they have for homeless women in conjunction with Boston Healthcare for the Homeless. 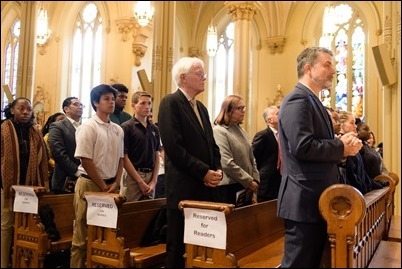 It was wonderful to see the great outpouring of support for the ministry of the friars and the many laypeople who help them.